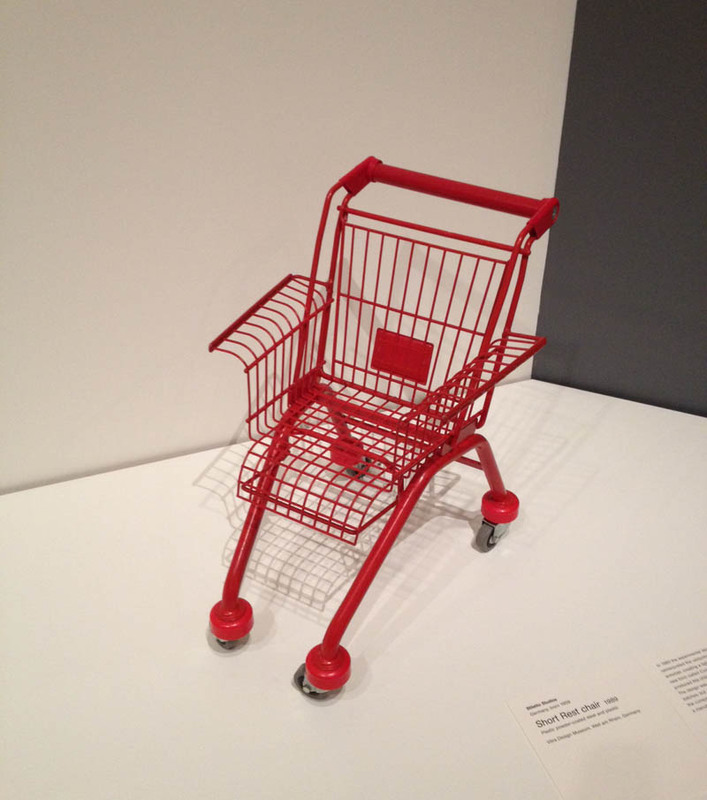 One of our favorite pieces at MoMA’s Century of the Child: Growing by Design, 1900–2000 exhibit was this small shopping cart chair. This child version is titled Short Rest Chair (1989) designed by Frank Schreiner for Stiletto Studio in Berlin. Apparently a few larger, uncoated metal versions exist as well, titled Consumer’s Rest. Originally a metal locksmith in the German armed forces, Schreiner later became a video artist and eventually, in 1982, started designing furniture and founded Stiletto Studios. 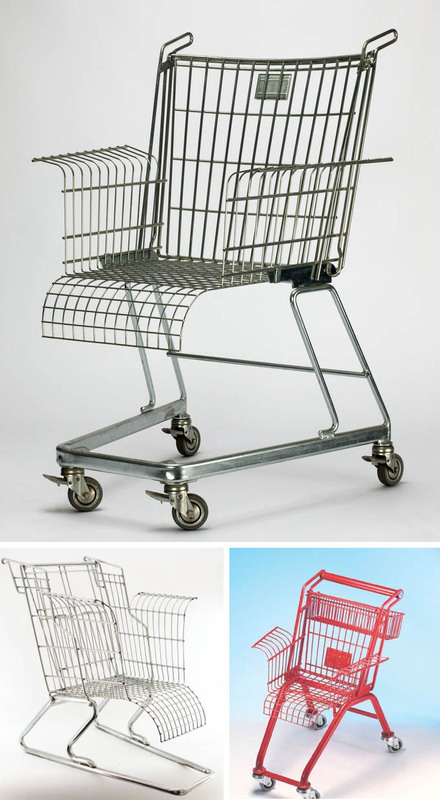 The inspiration for Consumer’s Rest Chair came from a comment from Schreiner’s mother about wire-mesh furniture reminding her of shopping carts. Update: The bottom left cart chair is not by Stiletto Studio. 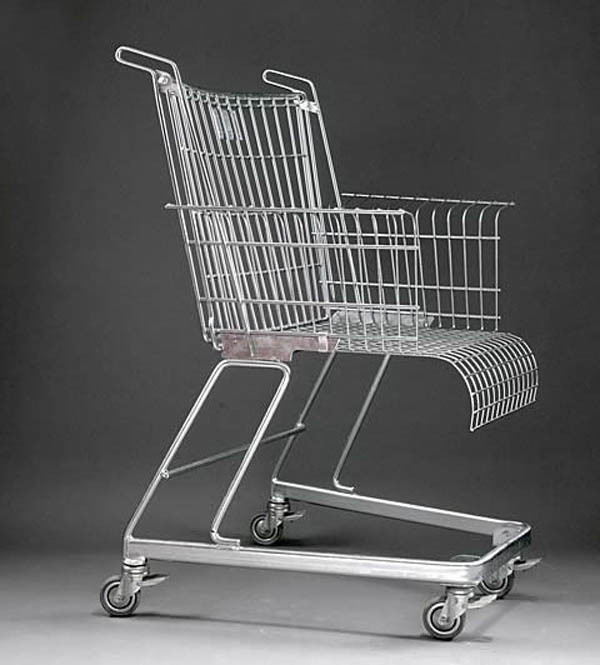 This entry was posted in Fun, Industrial Design, Pop Culture, Stuff We Like. Bookmark the permalink. All of these chairs really looks great and impressive in their own style. Red one looks more lavishing and perfect to represent Shopping Cart. The one on the lower left is not my work.